TODAY is the first day of spring and while it is the traditional time to refresh upholstery, wash your curtains and tidy up the garden after the long winter, many of us might benefit more from a financial spruce up than a physical one. It is important to keep on top of your finances throughout the year, but an annual spring clean typically saves hundreds of pounds and leaves you better able to manage your money in the coming months. These simple steps will only take a couple of hours, so set aside an evening to work through them and your bank balance will bloom along with the daffodils. Your finances won’t grow if you are spending more than you earn, while even if your bank balance is in credit every month you are probably spending more than you need without noticing. 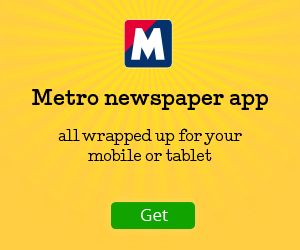 Fortunately, it is easier to keep an eye on outgoings than ever before, thanks to technology that means you can check what’s going in and out of your bank on your mobile phone. For this step, though, I’m going to suggest that you resort to less technological means and physically print out your bank statements for the past three months. This will allow you to tackle each of your outgoings in a considered manner, crossing each off when you’re done. Ian Brookes, financial planner with Charles Stanley, advises starting with the ‘luxury’ items that you might not even need. These often appear on your bank statement as monthly recurring payments and in some cases you might not even know you’re being charged for them. Next, tackle unavoidable bills such as energy, broadband and your mobile phone that also appear on your bank statement. Although these are generally regarded as essential items, there are plenty of ways to save on them, too, especially if you have been with the same provider for a while. Comparison sites can help you to work out what the cheapest energy tariff is for you and there is a list of accredited ones on the Ofgem (energy regulator) website, ofgem.gov.uk. If you can find your energy bill, inputting details of your energy consumption over time will give the best result. Switching should be simple — your new provider should handle this. Ensure you give regular meter readings to ensure that your direct debit is set at the right level, and you aren’t building up credit, or debit, on your energy. If your mobile phone contract has ended, you should be able to reduce this bill, too, especially if you are planning to keep your old handset. Try billmonitor.com to analyse your mobile phone bill and match you to the most efficient contract for you. If you are still in contract, it may be worth ringing your existing provider, particularly if you are paying for extra data each month, or if free minutes are going unused. They may be willing to switch you to a better deal. If not, make a note of the day when your contract ends in your calendar, and switch as soon as you can. Switching broadband is a similar process — and comparison sites can also check whether you’d be better off bundling your broadband deal in with any television packages you pay for. Try broadbandchoices.co.uk. Direct debit payments can usually be cancelled on your banking app or online. However, if you have given a company permission to take money from your debit or credit card whenever they think they are owed it, this can be harder. These are called continuous payment authorities, but are sometimes also known as recurring payments or continuous payment transactions. You have the right to cancel these, too. Start with the retailer you have the agreement with, but if they won’t, or you can’t get hold of them, speak to your bank, which MUST cancel payments on request. Do check you haven’t signed a punitive contract with exit fees first, though, or you will have to wait until your notice period ends. Debt can take many forms, from payday loans to low-interest rate mortgages. 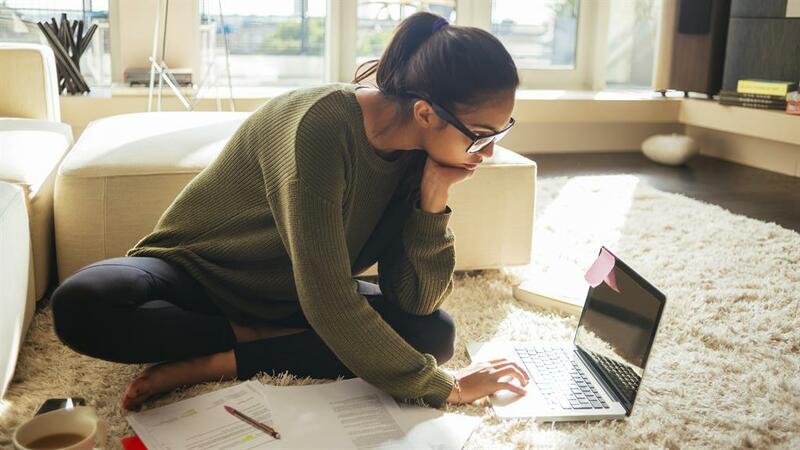 If you have debt, your goal with this spring clean should be to pay as little interest as you can on it, so that you can use more of your money for what you want. Payday loans tend to have the highest rates, but credit card debt can also be expensive and hard to pay off. It also racks up quickly. Justin Urquhart Stewart, founder of Seven Investment Management (7IM), has personal experience of this. ‘I got into a horrible mess at university because of the interest payments and how they quickly accumulate. It took me six years in the end to get rid of that debt,’ he warns. ‘Take a look at those credit card bills. ‘Now is the time to see whether you can repay any outstanding amount and set up a direct debit to pay off any bills at the end of each month,’ adds Justin. You may be able to shift your credit card balance onto a zero per cent credit card that would give you time to pay it off without interest racking up. This depends on your credit rating. At present there are zero per cent cards with repayment periods for as long as 30 months, and you usually pay a percentage of the debt — typically one to three per cent — to transfer it. If you do transfer your balance, ensure you set up a monthly direct debit to clear the debt over the 30-month period if you can. You can apply for zero per cent credit cards at uswitch.com. Switching your mortgage is another way to improve your outgoings. If you’ve been with your lender for a while, you may have been switched to their Standard Variable Rate (SVR). 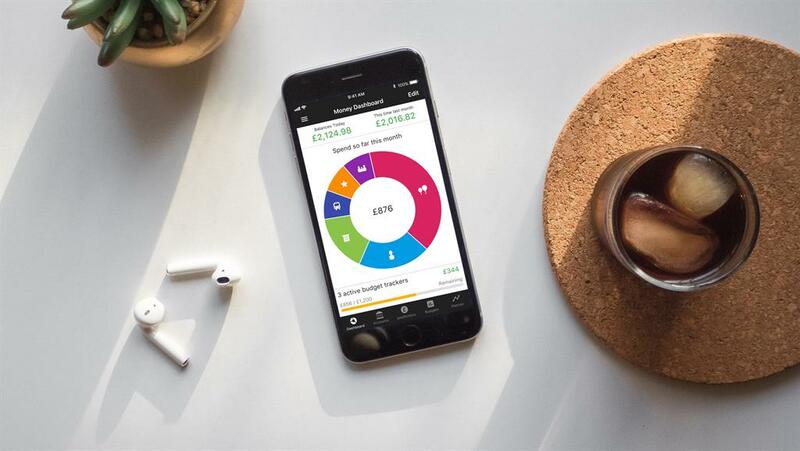 ‘Once your introductory period finishes, your lender will move you onto this rate, which could end up costing you an extra £3,500 a year on average,’ warns Daniel Hegarty, CEO at online mortgage broker Habito. Most companies will check your credit rating with an agency before allowing you to apply for low-rate mortgages or zero per cent credit cards. The rating can be affected if you’ve missed payments, aren’t on the electoral roll or have applied for too many products in the past. Signing up for a free service such as noddle.co.uk means you can check your credit report and correct any errors. These services can also advise you whether you are likely to be accepted for various cards before you apply. 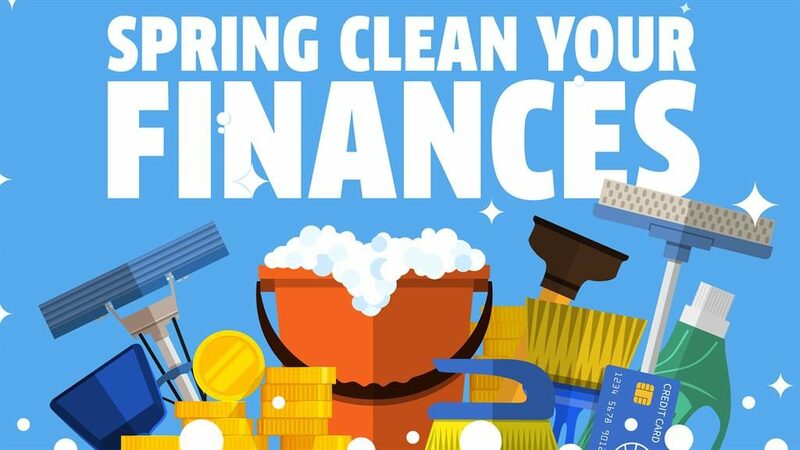 Whether you already have a pot of money as an emergency fund or you want to build one up, a spring clean can improve performance and help you to be more financially resilient. The steps you’ve taken above may have freed some money up at the end of the month and you could use this to build up an instant access pot of savings. You could do this yourself by setting a reminder to transfer any remaining money from your bank account at the end of the month into a cash ISA or instant-access account. Worth a look is the Marcus account from Goldman Sachs, which pays 1.5 per cent, or the Coventry Building Society fixed rate ISA, which has the same rate. 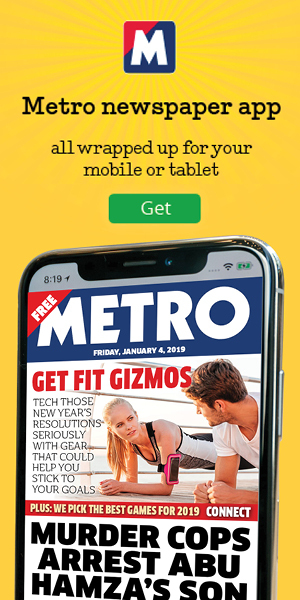 Alternatively, you could use technology to help you, by downloading an app such as the Chip app (see below), which automatically transfers money you can afford from your current account into a savings account by analysing your transactions. Check your investments, including those in any ISAs or Self Invested Personal Pensions, to see whether they are performing as you hope. Check that your savings, particularly those in old ISA accounts, are not languishing on a poor rate and, if they are, transfer them. The Coventry Building Society ISA, for instance, allows transfers from other ISAs but ensure you follow their procedure, otherwise it will lose its tax-free status.